I got this email from a friend of mine. You know the kind. The person who sends you an email every week. It was one of those emails that I have to admit I usually watch or read about 2 seconds of and then delete. This one however, caught enough of my attention with it’s creativity that I actually let it run for a bit while I went back to whatever it was I was doing. At about 7 minutes in my interest was peaked. 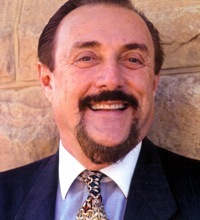 The author, Dr. Zimbardo began talking about media and our current education system. As a Sociologist, former Educator and someone who’s intimately involved in our Youth Ministry, I was quickly drawn in. I thought I’d post it for you to watch as well. You should watch it. You should think about it. Then you should think about it some more. Here’s how it’s affected me. I’ve had to ask the questions, “How does it affect my ministry to the current generation and those to come?” and, “Are we really engaging this generation with our traditional methods of ministry?” I’m not sure I have the answers, but the questions are valid.